Presenting my Val’s day (and beyond) screensaver! I know, it’s a day like any other, but any excuse to stay in the heart. Last week it was all about keeping it Anahata – in other words, balancing the 4th (heart) chakra. Real. The basic right of the heart chakra is to love and be loved. It’s all about how you listen to your heart, and how you learn how to love and be loved. Number four out of seven, this chakra is located right in the centre of the chest as you might guess, around the middle of the shoulder blades, sides of the upper ribcage. It is significant to the chakra system as it is a bridge between the lower three (representing the physical world) and upper three (associated with the spiritual world) serving to balance out and direct all energy in the body. The element associated with Anahata is air, which might resonate if you have ever been in love with a person/cake/talking dog and feel literally “swept up” by the feeling! A great way to immediately find balance is through working with the breath via pranayama exercises. Physical signs there might be a deficiency in this chakra might be a rounding forward of the shoulders, a hunched posture, perhaps shortness of breath, lung issues (such as asthma) or shallow breathing . When the heart chakra is deficient, one might experience feelings of shyness and loneliness, perhaps an inability to forgive or lack of empathy. The heart centre naturally yearns to release and let go, and postures that are beneficial for its balance include, well, balances, shoulder/arm openers and backbends. Of course backbends in particular require an element of trust and surrender. Which, let’s face it, can be terrifying. In some ways like falling in love can feel for many of us. But we are each worthy of love, of ourselves and of others. 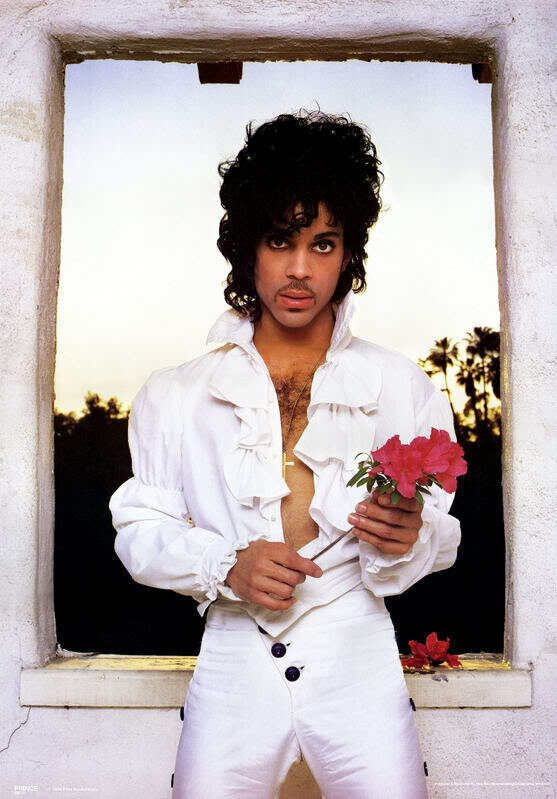 So, in addition to enjoying Prince offering this lovely token of flowers, let him remind you to check in and ask, are you loving yourself? Can you be more loving? More open? Offer yourself a bit of romance? It starts and ends with you, dear. This entry was posted in #365yoga, music, playlists, postures and tagged anahata, backbends, balance, chakras, heart, love, pranayama, Prince. Bookmark the permalink. ← Hello love, New Years Resolution #fail?